What Can We Expect from the Lifts of the Future? Lift technology is continuously changing and at Axess2 we’re always excited to hear about new developments – and imagine the future of lifts! Understandably, this is an issue that is very dear to us, given that we deal with lifts day in, day out. Our very own marketing manager, Nathan Massey, has written about this issue before in his personal LinkedIn page. He is of the opinion that we can already glimpse at the lifts of the future. Movies like Charlie and the Chocolate Factory showcase one very important aspect of future lifts: the fact that they will able to travel in all directions, not just up or down. ThyssenKrupp is already using magnetic levitation and conjoined passageways to make this a reality. Lifts will also occupy much less space than they already do. With electromagnetic technology, the heavy and bulky ropes may become obsolete very soon. Magnets would allow lifts to have smaller shafts as well. You can already see this technology, MagLev, to suspend trains above rails to improve transportation. It stands to reason lifts will soon benefit from it as well. And how about a lift that can take you into space? 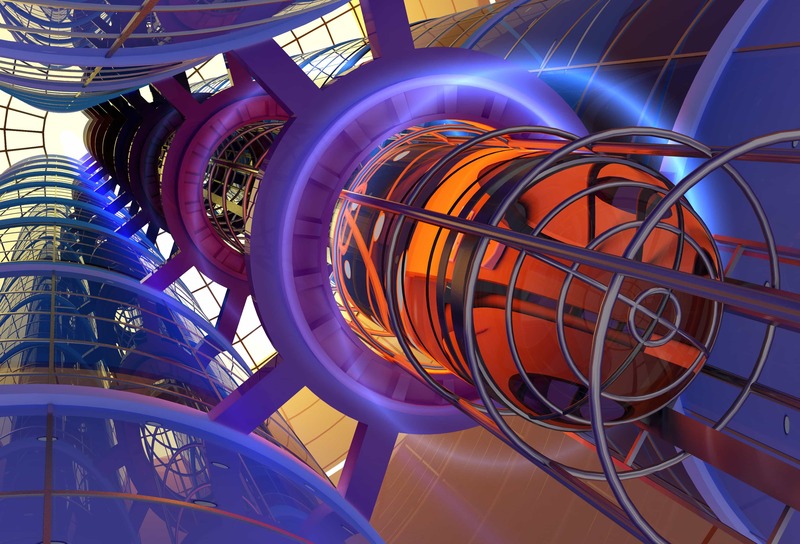 While this sounds like science-fiction, people are seriously considering a space elevator. Apparently, the trick to turn this concept into life is the use of diamond nano-threads! In his article, Nathan also talks about something that makes many people afraid of lifts: becoming trapped in one. Soon, lifts may have the ability to dock with each other, which means you’d have to wait only a little while if you did indeed become trapped and another lift would come to pick you up. Lifts are amazing things and their technology is undergoing a non-stop progress. We’re looking forward to actually seeing all of these becoming a reality! If you also like thinking about how lifts are going to look like in the future, pop on over to LinkedIn and read Nathan Massey’s full-length article about it!